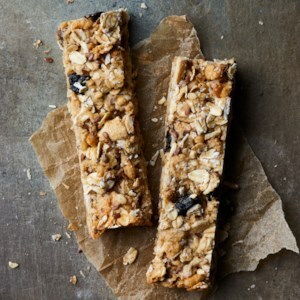 Find healthy, delicious granola bar recipes, from the food and nutrition experts at EatingWell. 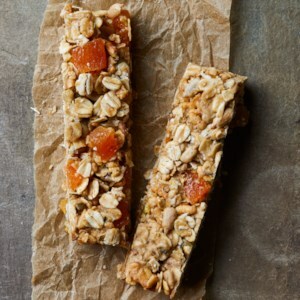 Granola bars are really easy to DIY using healthy ingredients such as nuts, dried fruit and whole grains. Here’s your chance to try out that flavor combo you wish your favorite granola bar company would make. Eat them for an energy-boosting pre-workout snack, an after-workout recovery food or just a healthy between-meal snack. Dates provide all the sweetness you need for these no-bake energy bars. 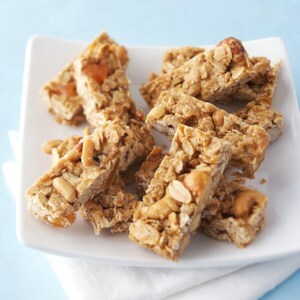 Each square serves up a hearty dose of protein--thanks to peanut butter and peanuts--as well as fiber from rolled oats. Kids will love the chewy bites with crunchy nuts. 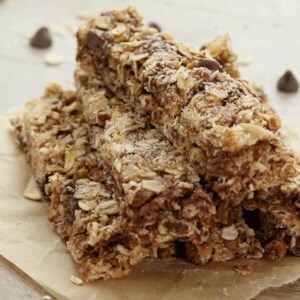 Packed with protein, these power bars are a tasty treat filled with chocolate chips, toasted oats and peanut butter. 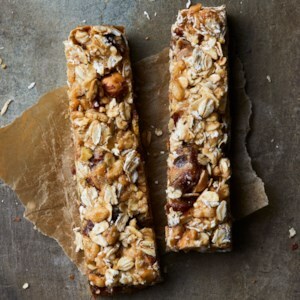 These homemade granola bars--loaded with oats, almonds, peanut butter, and chocolate chips--are the perfect alternative to store-bought granola bars, which can be loaded with added sugars. Make them for a special occasion, or freeze a batch to enjoy for up to 3 months. 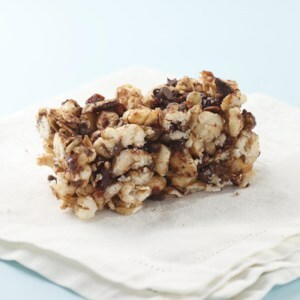 These one-bowl, no-bake energy squares ensure a quick way to refuel during long meetings, tough workouts or that mid-afternoon energy slump. Feel free to swap the blueberries for your favorite dried fruit and the pistachios for your favorite nut--but keep the maple syrup as is; we found using less than 1/2 cup resulted in crumbly bars. You can make these bars ahead of time and freeze them, tightly wrapped in foil, for up to 3 months. 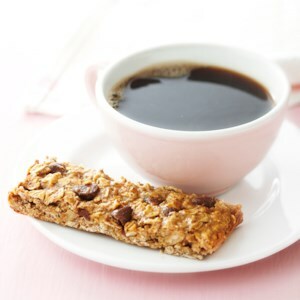 These easy-to-make homemade granola bars are inspired by the flavors of a classic oatmeal chocolate chip cookie. But feel free to vary the mix-ins to your preference. We tested several sticky sweeteners, including maple syrup and honey, but found brown rice syrup held the bars together the best. These easy homemade granola bars are packed with the chocolaty-coconut flavor of the candy bar classic. But feel free to vary the mix-ins to your preference. We tested several sticky sweeteners, including maple syrup and honey, but found brown rice syrup held the bars together the best. 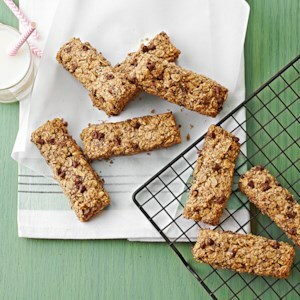 These bars, packed with the sweet flavors of raisins and cinnamon, are inspired by oatmeal raisin cookies--but they're completely nut-free so they're school-friendly. We tested several sticky sweeteners, including maple syrup and honey, but found brown rice syrup held the bars together the best. 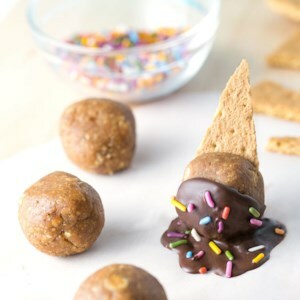 Peanut Butter Energy Bite "Ice Cream Cones"
These energy bites, dipped in chocolate and topped with graham crackers, look just like melty ice cream cones, but are packed with energizing protein for a healthier snack kids will love. 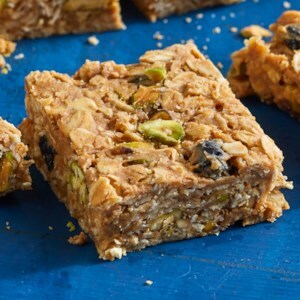 The mix-ins in these homemade granola bars are inspired by ingredients commonly used in Middle Eastern cooking--dates, hazelnuts, pistachios, tahini and cardamom. But feel free to vary the dried fruit, nuts, seeds and/or spices to your preference. We tested several sticky sweeteners, including maple syrup and honey, but found brown rice syrup held the bars together the best. Skip the granola bar options at the grocery store--they're easy to make at home! 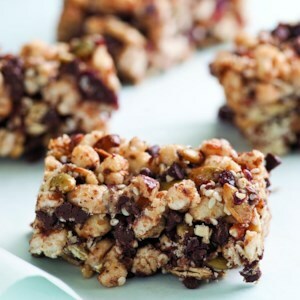 You can vary the add-ins to your taste, swapping 2 cups of any combination of small (or chopped) dried fruit, nuts and/or seeds for the chocolate, cherries and coconut in this version. We tested several sticky sweeteners, including maple syrup and honey, but found brown rice syrup held the bars together the best. These healthy, homemade granola bars are reminiscent of peanut butter-and-banana sandwiches. Be sure to look for dried banana, not banana chips. The chips are cooked in oil and, if not stored properly, can have an off taste. We tested several sticky sweeteners, including maple syrup and honey, but found brown rice syrup held the bars together the best. 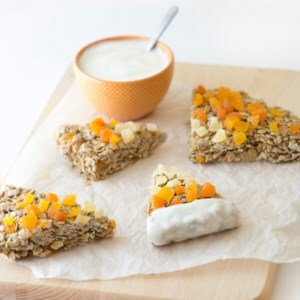 Coconut extract gives these homemade granola bars tropical-inspired flavor. Feel free to swap the blueberries, cashews and flaxseeds for any combination of your favorite dried fruit, nuts or seeds. We tested several sticky sweeteners, including maple syrup and honey, but found brown rice syrup held the bars together the best. 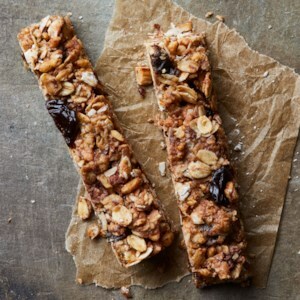 Easy to make at home, these nut-free granola bars can be adjusted to your taste preferences. Simply vary the add-ins to your taste, swapping 2 cups of any combination of small (or chopped) dried fruit, seeds and/or chocolate chips for the apricots and seeds in this version. We tested several sticky sweeteners, including maple syrup and honey, but found brown rice syrup held the bars together the best. 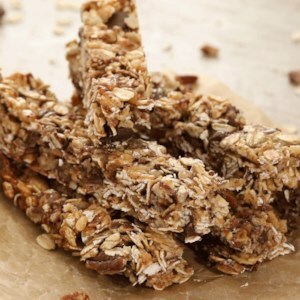 There are plenty of granola bar options at the grocery store, but they're also easy (and often healthier) to make at home. Feel free to vary the add-ins to your taste, swapping 2 cups of any combination of small (or chopped) dried fruit, nuts, seeds and/or chocolate chips for the dried cranberries and nuts in this version. We tested several sticky sweeteners, including maple syrup and honey, but found brown rice syrup held the bars together the best. Great for breakfast on the go! 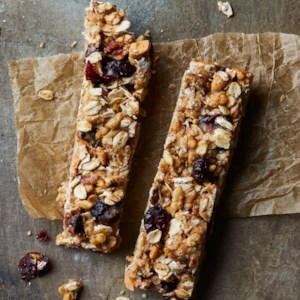 Golden roasted nuts, seeds and oats are enveloped by flavorful almond butter in these delectably chewy, no-fuss energy bars. Unrefined turbinado sugar adds a deep caramelly undertone. Feel free to use light brown sugar instead. Bars stored at room temperature will be softer than those that are refrigerated. 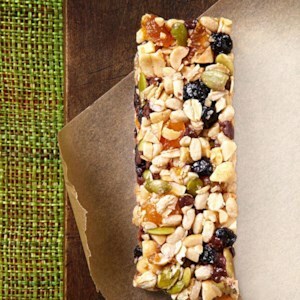 Instead of buying pricy energy bars, fuel your fitness routine with this great-tasting homemade energy bar recipe. Whether you use these energy bars as a pre-workout snack or to refuel and recover post-workout, they'll give your body what it needs. 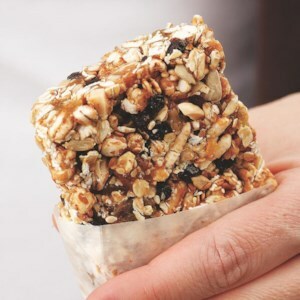 Best of all, you can make this energy bar recipe in minutes. 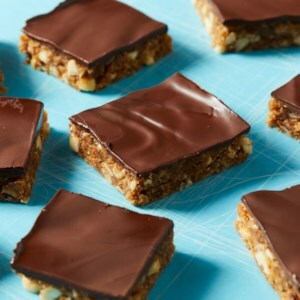 These chewy, crunchy and delicious nut-free snack bars boast good-for-you dried fruit, oats and little explosions of chocolate. We like the flavor of dried cherries or cranberries, but any coarsely chopped dried fruit will work. 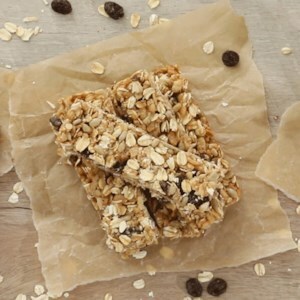 These cereal bars are chewy, crunchy and delicious with good-for-you seeds, nuts, fruit and little explosions of chocolate. We like the flavor of dried cherries or cranberries, but any coarsely chopped dried fruit will work.